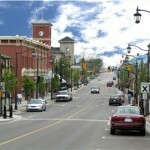 For many new home owners, the pride and joy of owning your home and the land it sits on is a big deal. 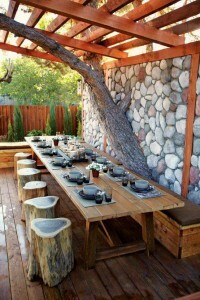 Many love their trees while others may cringe at the design limitations trees pose to their home’s exterior design. Professional tree removal services can be costly, not to mention the environmental impact to their rest of your garden’s ecosystem. Keeping your trees provides great beauty to your home’s exterior (and interior for the sake of views), as well as much needed shade during hot summer months. In this post, we share some creative and inspiring ways you can incorporate existing trees into your home’s landscaping design so that their beauty complements your design choices. Building a round bench around your tree provides a great focal point in your new home’s backyard. 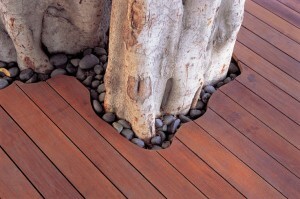 Many landscape architects are capable of using varying materials from wood to metal. 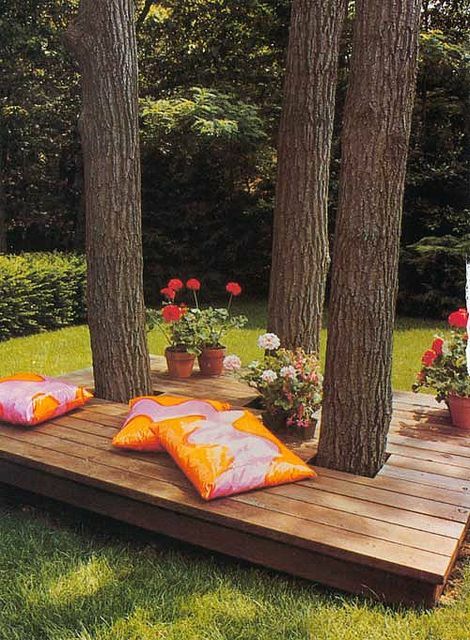 In addition to proving ample seating options when hosting backyard gatherings, a round bench accentuates your tree and provides a shaded rest area for warm summer afternoons where you just feel like curling up to a good book. Decking around a tree with awkward edges can be challenging, but can also result in great beauty when you work with the tree instead of trying to go against it by hiding it. Decking like this can really balance the beauty of the rest of your new home’s backyard since the tree doesn’t become a focal point, but a nice complement in the rest of your decking design. Incorporating a full size tree like this would be an understatement to call it challenging but the key here is to maintain a rustic feel throughout your new home’s backyard design. 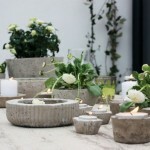 So if you appreciate rustic design in your new home, it makes perfect sense to continue that look outside. Normally in larger yards where you may have a cluster of trees to look upon, many new home owners may simply leave them alone; allowing them to be a place to occasionally gaze but not think about too much. 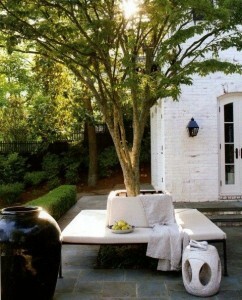 Adding the unexpected deck lounging area not only provides a great deal of visual interest to your yard, but a welcoming retreat to lie down and sip some lemonade. For more great tips and design inspiration for your new home, be sure to visit the Mosaik Homes Facebook Page!